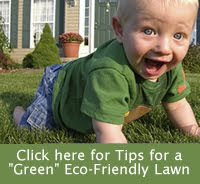 Metro DC Lawn and Garden Blog: More "green" gardeners in 2011? More "green" gardeners in 2011? According to a report by the Garden Media Group , more gardeners will be practicing "green" gardening techniques in the coming years. According to the recent National Gardening Association’s Lawn & Garden Survey, survey, 9 out of 10 households want to manage their lawns and gardens in an environmentally- friendly way. Consumers are turning to all-natural repellents to keep unwanted pests from mowing down lawns and valuable plants. Eco-friendly repellents keep garden foes away and are guaranteed effective and safe for people, plants and pets.